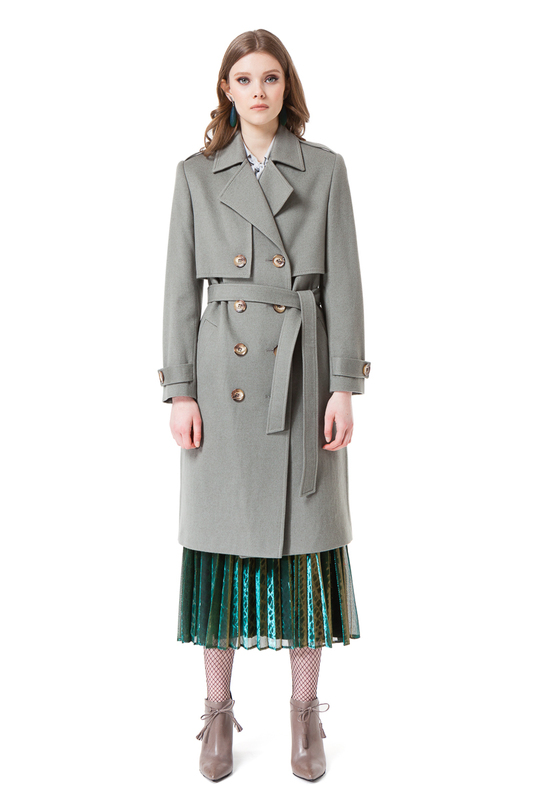 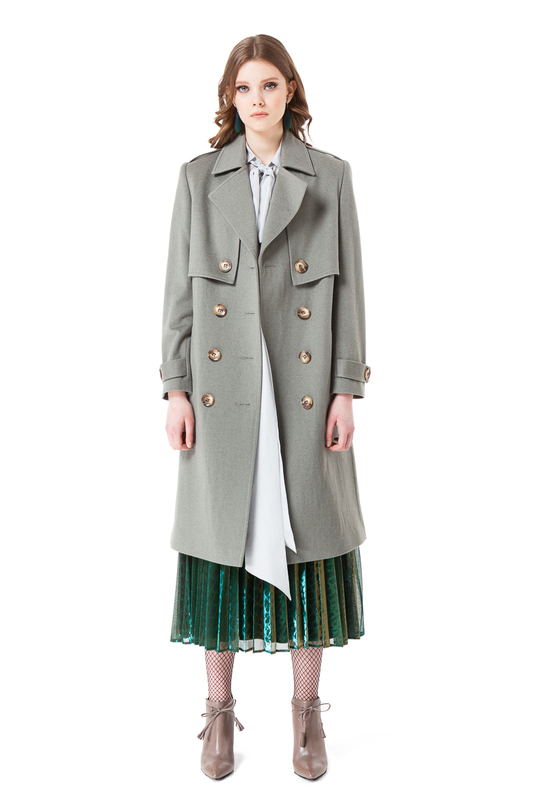 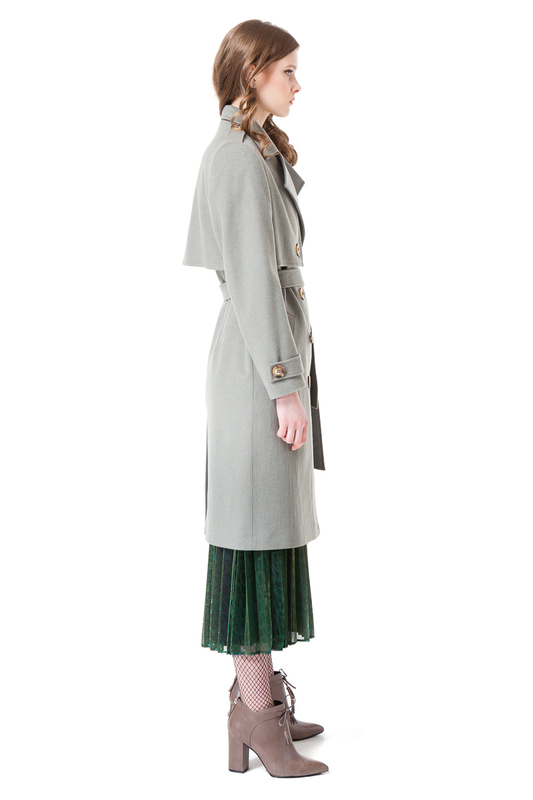 Wool coat with pockets, belt and a back split in mild olive green colour. 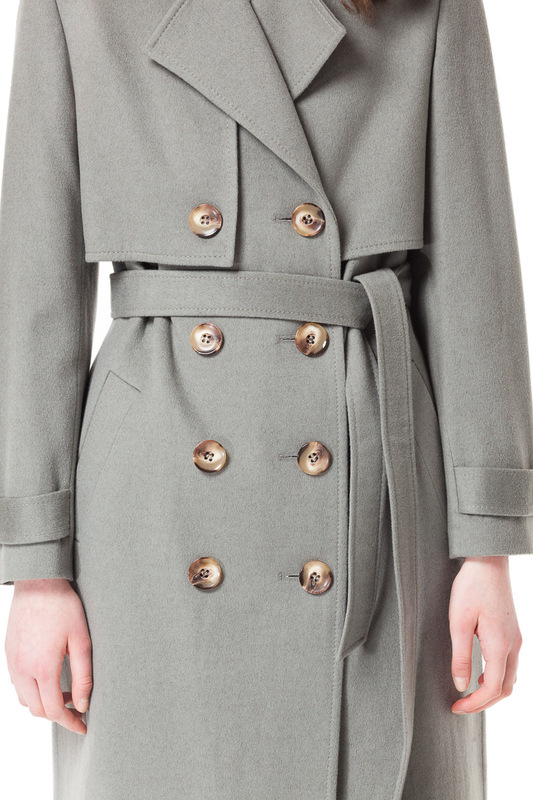 This classic double-breasted trench coat is designed for a slightly oversized fit and is accented with sharp lapels and contrasting buttons. 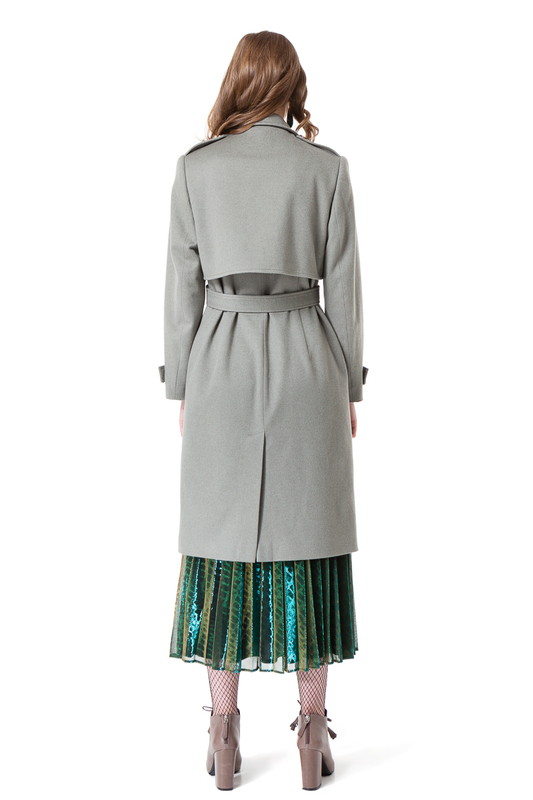 A perfect pick to wear with any shiny cocktail dress or statement skirt, as well as with a pair of jeans and a cosy sweater.